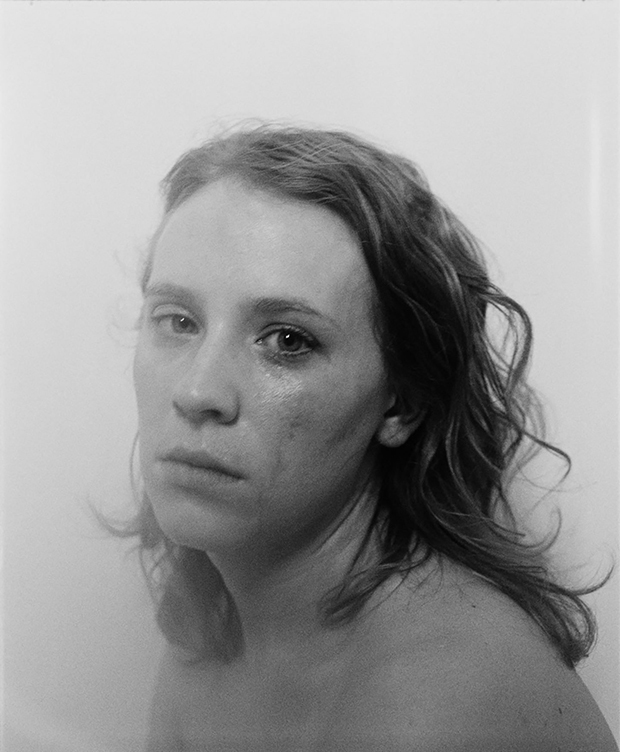 “This series of images represents a phase in my life,” the photographer Matt Eich says of his book I Love You, I’m Leaving. “Not a pleasant one, but an important one.” He created these photographs with friends and family during the two-year span between 2015 and 2017, a period marked by change, including a move for his immediate family and the separation of his parents. 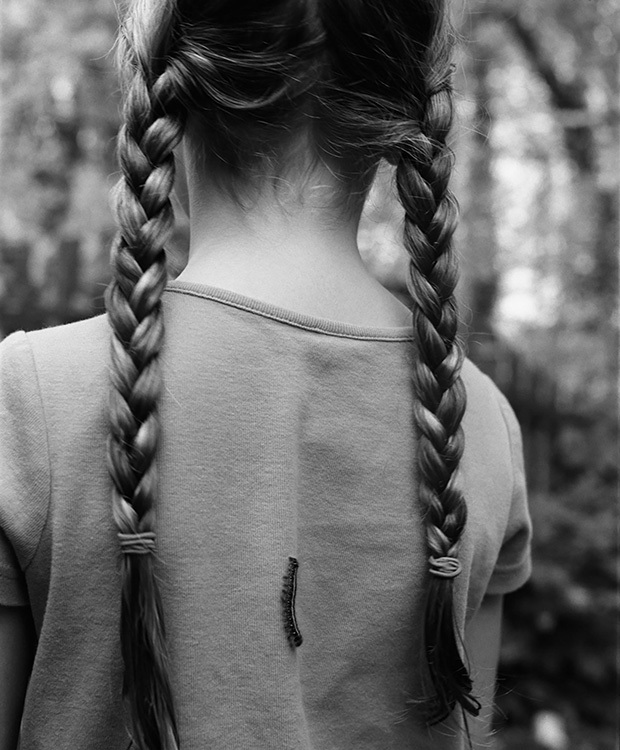 An exhibition of the work opens in December at Cassilhaus in Chapel Hill, NC. I Love You, I’m Leaving spans generations of the artist’s family: his mother and father, himself and his wife, their daughters. 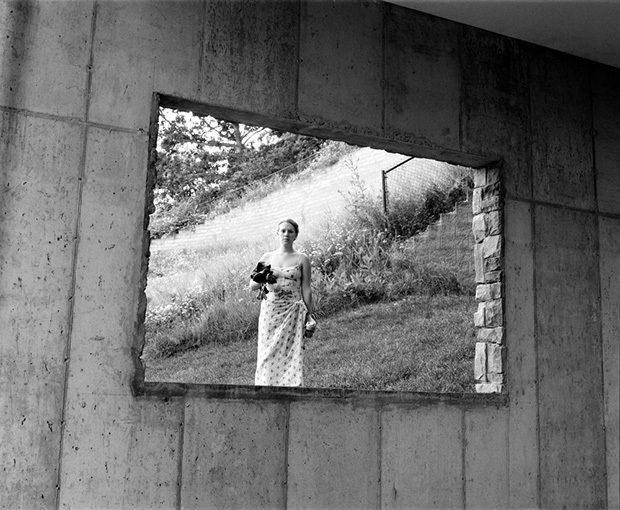 Memories of grandparents also play a significant role in the work; as a child, Eich’s interest in photography first blossomed during his grandmother’s struggle with Alzheimer’s. 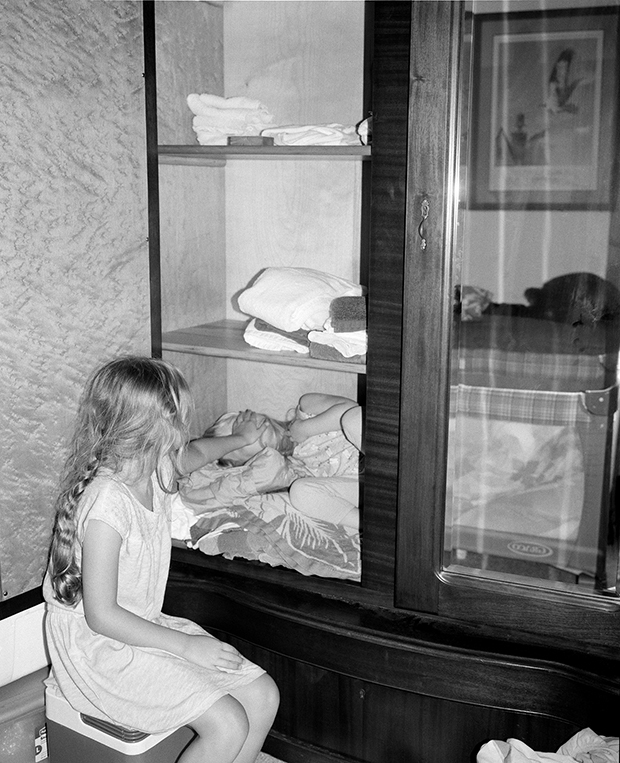 His grandfather, who gave him his first point-and-shoot camera, passed away the same year the project ended; in the final photograph in the volume, a color image after the book’s acknowledgements, we find Eich’s daughter sitting beside his casket. The only text in the book, save for the title and the acknowledgements, is a brief love poem. Eich wrote it one morning after saying goodbye to his wife and driving to Ohio for an exhibition. It was the ten-year anniversary of the day they were married. “If it is about anything, it’s about being torn between the desire to be with the one you love, and the knowledge that you must constantly leave,” Eich admits, and in many ways, that idea forms the backbone of the book as a whole. It’s worth noting, I think, that the photographer chooses a comma instead of a period or a semi-colon between “I Love You” and “I’m Leaving.” That is, they are not separate or distinct thoughts. In these pages, loving and leaving are two sides of the same coin, and being close to someone also means feeling that they are unreachable. 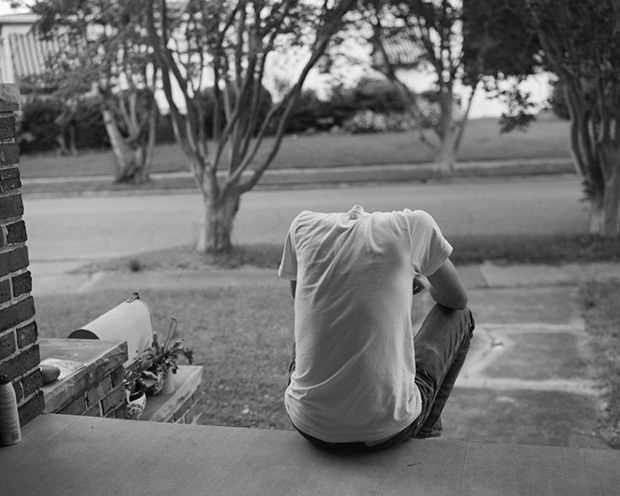 Loved ones appear through windows and doors; sometimes, they turn their backs. Eich dedicates I Love You, I’m Leaving to someone who is both near-at-hand and faraway: his grandfather, whose loss is still new and fresh. 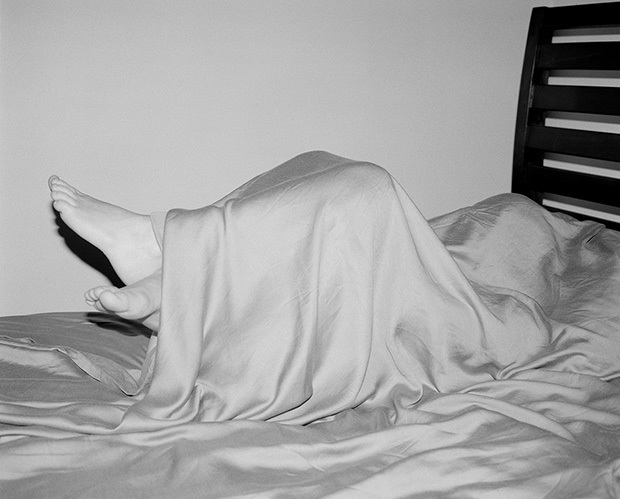 The artist admits, “He never seemed to understand me, or what I was trying to do with a camera, but he was supportive all the same.” We asked him a few more questions about the series in anticipation of the exhibition at Cassihaus. 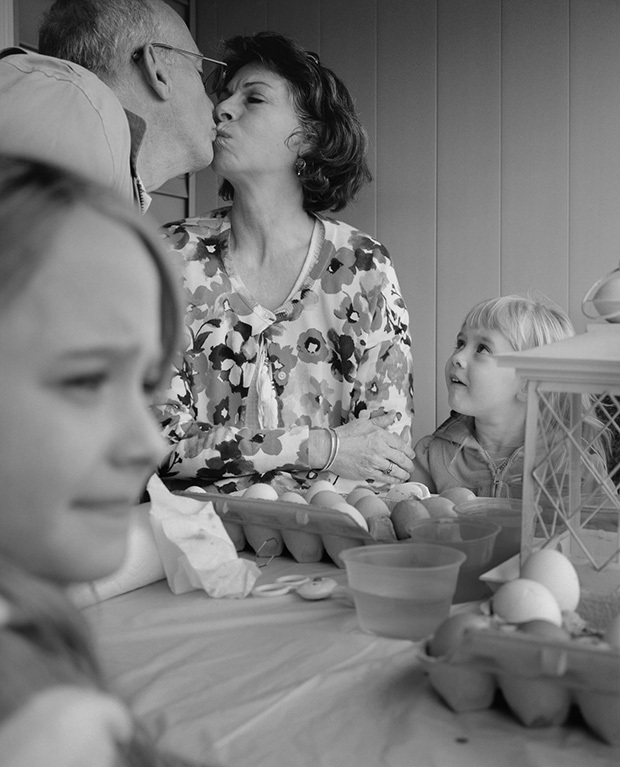 Has your wife and children’s relationship with the camera changed at all over time? How do members of your family respond to these images? “I don’t think that my children understand the emotional weight the work seeks to convey. To them, it’s just pictures of people they know for the most part. 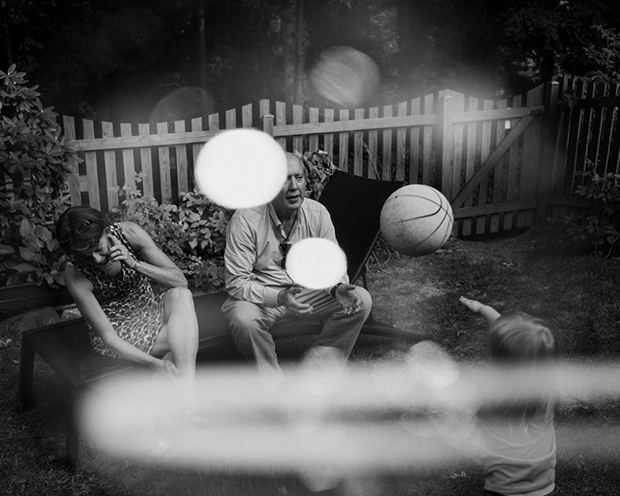 One of my favorite photographs, Dissolution, Charlottesville, Virginia is of my parents sitting next to one another on a bench in my backyard, framed by a bubble. In it, my dad appears to be engaged, and my mother withdrawn, pulling away from him while on the phone. In what ways is this book fictional? How and when does it become something different from your real life? Why black and white for this one? How do you think your relationship with this book will change as time passes? What do you hope to find in its pages when you look back at them, decades from now?